Just when you think you’ve seen enough changes at Disney World, along comes another new thing that we have to try to understand. The latest change has been that PhotoPass+ has gone away and Memory Maker has taken its place. These 2 programs are very similar but with some key differences. Method of scanning ride and dining pics 1 PhotoPass+ card used to scan ride pics Whoever is on the same reservation as the person designated in My Disney Experience as having the Memory Maker “entitlement” can scan their MagicBand to get ride/dining pics. New people can be assigned the entitlement as long as no pics have been downloaded yet. *All guests eating at Cinderella’s Royal Table and Princess Storybook Dining at Akershus receive printed pics which is included with the price of the meal. What’s the basic difference between the two? Memory Maker does everything digitally while PhotoPass+ included some printed pics and a CD of photos. Memory Maker also allows you to see and download photos of friends and family who are linked within My Disney Experience. If you don’t want other people to see your pics, you have the option to restrict access. Where do I order Memory Maker? This is a word that Disney is using to basically describe the person who “owns” the Memory Maker package. For instance, if I buy Memory Maker for our next family trip, I would probably just designate myself as the person with the Memory Maker entitlement since I have the My Disney Experience account and generally coordinate everything for our family. Anybody who is on my reservation will have access to the same things that I do (like viewing pics, scanning ride photos, etc.) but only I can download pics as the owner or person with the entitlement. The entitlement can be reassigned to somebody else as long as no pictures have been downloaded yet. If I already pre-purchased PhotoPass+, what do I do with my voucher? Return your PhotoPass+ and buy Memory Maker. You’ll need to fill out the return form and return the CD that was sent to you after you ordered. Although the return form says it must be returned within 14 days, Disney is honoring all returns given the special circumstances. A lot of people have been asking me what I would do – keep or exchange. If it was me, I’d keep PhotoPass+ if 1.) I planned to eat at 1 or more of the dining locations where you get printed pics with PhotoPass+ (see chart above for those locations) or 2.) the CD of stock/gallery pics was valuable to me (it’s included on PhotoPass+ but costs $30 extra on Memory Maker). 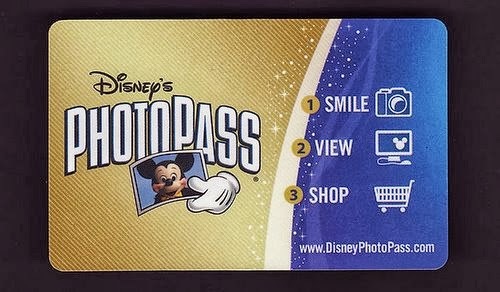 I like PhotoPass+ better – can I still buy it? No, you can’t. The only people who can still use PhotoPass+ are those who pre-purchased it before December 6, 2013. What if I’m staying off-site? Can I still use Memory Maker? Yes, while on-site guests will have Memory Maker linked to their MagicBands, off-site guests will still be able to order and be given an RFID-enabled card that can be scanned instead of MagicBands. What about the PhotoCD that includes PhotoPass pics without dining and ride photos – is that still an option? Yep, you can still get the PhotoCD athttps://mydisneyphotopass.disney.go.com/wdwsave for $119 if you pre-purchase or $169.95 at full price. Where do I go for answers to questions? I will try to help you if I can (leave your question in the comment section) but you can also call Disney at 407-560-4300 or send an email to disneyphotopass_support@disneyworld.com. They are still getting up to speed with this new program so the answers they give can be somewhat inconsistent.